Our General Manager, would like to welcome you. 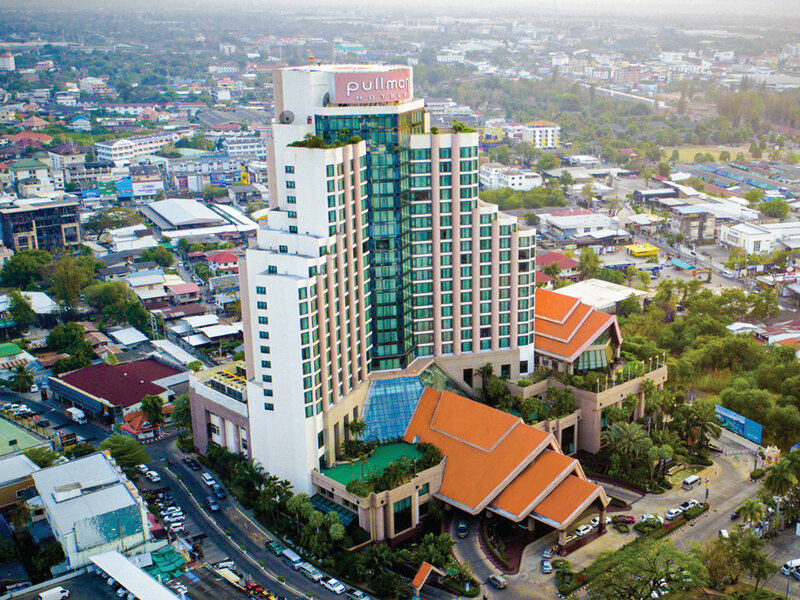 The Pullman Khon Kaen Raja Orchid is located in the city centre, a 10 minute drive from the Khon Kaen airport and just a short walking distance to shopping malls. This state of the art hotel ensures you stay in style with a variety of stunning Khon Kaen hotel room options, ranging from classic Superior Rooms to opulent suites. All rooms offer complimentary WiFi access, as well as large bathrooms with bathtubs. Serving the finest cuisine from around the world in friendly surroundings, the Pavilion Café is sure to satisfy all tastes. Choose from the extensive Asian and Western lunch and dinner buffet or the delicious a la Carte menu. Kronen Brauhaus is the first microbrewery in a Thai hotel, and is located in The Underground entertainment complex. Lovers of good food and beer will enjoy watching it being produced, not to mention tasting the final result. Spend time on the Malulee Pool Terrace and enjoy guilt-free indulgence with a wide range of refreshing health drinks from the bar. Meet at Orchid Lobby Lounge to sample a refreshing drink or indulge in afternoon tea. Ideal for daytime relaxation, this skylit lounge also ensures an evening of entertainment with great live music and delicious beverages. Experience the theatre of live Teppanyaki as presented by a professionally trained chef. Sample a selection of set menus with quality meat products and fresh seafood, or indulge in sushi, sashimi, assorted maki and more. Mycket bra frukost. Trevlig och hjälpsam personal. Rummet var bra, frukost på terrassen var mysigt. Kanske att det var lite för många &quot;damer&quot; som raggade kunder inne på hotellet, det kändes konstigt för oss men framförallt tappar Pullman sitt namn som ett elegant hotell och blir mer som en gogo bar. Gott läge centralt i Khon Kaen tät på såväl marknaden som gode restauranger. Frukostbuffén var den mest allsidiga som kan tänkas med något för alla smaker. Det vi smakade på var exelent. Polen helt ok men Max djup 130cm.